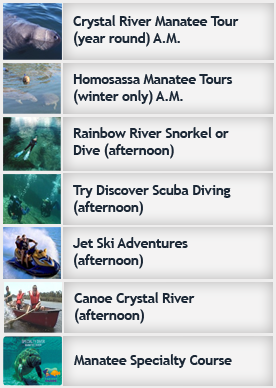 Discover Scuba Diving here in Crystal River Florida Discover Scuba Diving on Rainbow River So you want to DIVE? Come on in! Join our PADI Discover Scuba Class. Give us an hour and we can have you ready to dive with us. 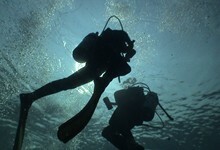 You have always wanted to try Scuba Diving so what are you waiting for? 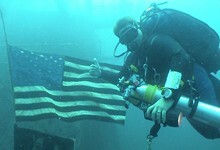 Learn to Scuba Dive in just 2 Days right here in Crystal River Florida. Now is the time to dive into the PADI Open Water Dive Class, the most popular dive program in the world! This is your ticket to learn to scuba dive and enjoy a lifetime of adventure and fun starting with American Pro Diving Center a Five Star PADI Facility in Crystal River Florida. After completing the five confined pool dives from your local dive shop your off to Florida for vacation. 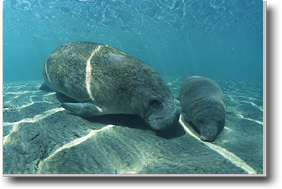 Come to Crystal River Florida and finish the four open water referral dives and dive Kingspring and Rainbow River. 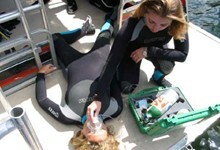 To finish the referral open water dives all you need is two afternoons to complete. Looking for the ultimate adventure? 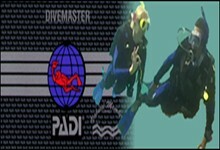 You found it with the PADI Advanced Open Water Diver Class at American Pro Diving Center in Crystal River Florida. 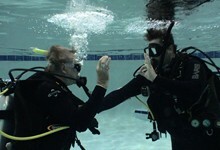 This class offers more hands on learning through diving experience to fine tune your dive skills. Explore more of what diving has to offer with the guidance of a PADI Instructor. 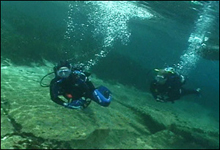 Technical diving is scuba diving�s �extreme� sport, taking experienced and qualified divers far deeper than in mainstream recreational diving. 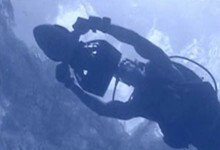 Technical diving is marked by significantly more equipment and training requirements to manage the additional hazard this type of diving entails. Tec diving isn�t for everyone, but for those who hear its challenge call, the PADI TecRec courses are the answer. 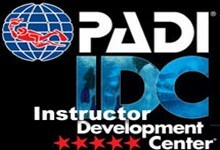 For 15 years American Pro Diving Center has been a leader in diver education. We now invite you to join us for your scuba career training and learn the skills to become a scuba instructor. Our friendly knowledgeable staff is dedicated to not only preparing you to complete the instructor development course (idc) but also for the PADI Instructor Exam (ie). More importantly, a career full of success and growth. Professionalism and leadership are just some of the qualities that are developed while you sharpen your dive theory and dive skills.